The Policing Authority has defended how it responded to concerns raised by two civilian whistleblowers about the force’s homicide statistics. 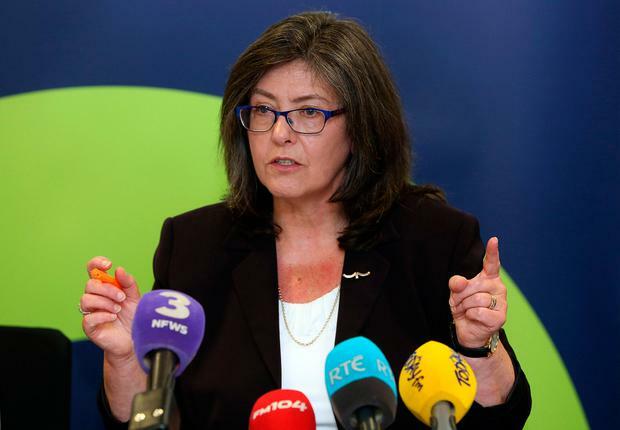 Its chairperson, Josephine Feehily, denied Garda Síochána Analysis Service personnel Lois West and Laura Galligan were ignored when contact was made with the oversight body on several occasions last year. Ms Feehily also rejected that there would have been anything improper in Garda management being informed of the fact that the analysts had been in contact with the authority. She was questioned today at the Oireachtas Justice Committee as TDs and senators expressed concern about the treatment of the whistleblowers. Earlier his month the analysts told the committee they were "belittled" and "shouted down" by Garda management when they tried to raise concerns about data quality problems in the recording of dozens of deaths. They were also concerned that they were put under pressure to sign off on an "inherently weak" review of homicide statistics last April. Ms West made contact with the Policing Authority on several occasions by phone and letter between April and July last year, but no meeting ensued. She learned from a senior officer last August that Garda management had been informed in a phone call by someone in the authority that approaches had been made. Ms West said not only had they not been heard but the authority had "kind of told tales on us". 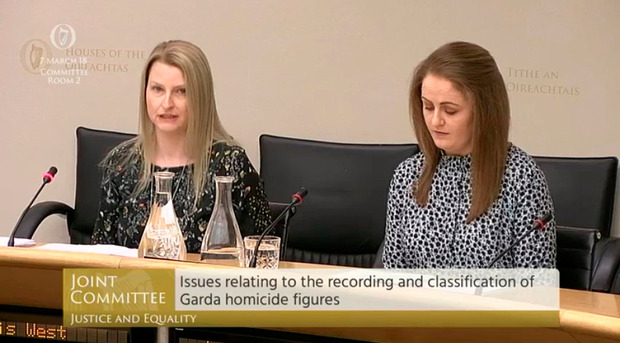 Speaking at the committee today, Ms Feehily said their evidence about how they were treated in the workplace "sounded deplorable" and was "very concerning". But she defended the failure of the authority to meet with the analysts, saying it was already in possession of much of the information they had. She said it had received "intelligence" from a number of sources. "Having reviewed their evidence to you, I can honestly say that there was very little of substance in it about the review which we didn’t know or have grounds to believe since late March or early April of last year," she told the committee. Ms Feehily said each time the analysts made contact they got a response, were thanked and were assured the issue would not be dropped. "They perceive things in a certain way. Our belief is that we responded each time and that we persisted with all of the issues," she said. "Our belief is that we did not ignore their concerns. We treated that as part of that intelligence that we had." Ms Feehily said the authority was also in possession of a letter the analysts sent to the Garda Commissioner last May. This was passed to it by Garda management. She said the analysts were advised the authority had the letter and that they were given an assurance that it "was live to all of their concerns and would be following up". Ms Feehily said another letter, from the analysts to the authority, was kept confidential, but not the fact that they had been in contact with concerns. "Routine contact was not regarded as confidential," she said. Asked by Fianna Fáil TD Jack Chambers who in the authority had phoned Garda management about the approaches the analysts had made, Ms Feehily said she had "no idea".